Reebok was one of the big surprises at last year The Running Event, essentially relaunching the brand in the run game with a decent trainer the Floatride Run and two spectacular up tempo and race shoes the Fast and Fast Pro. 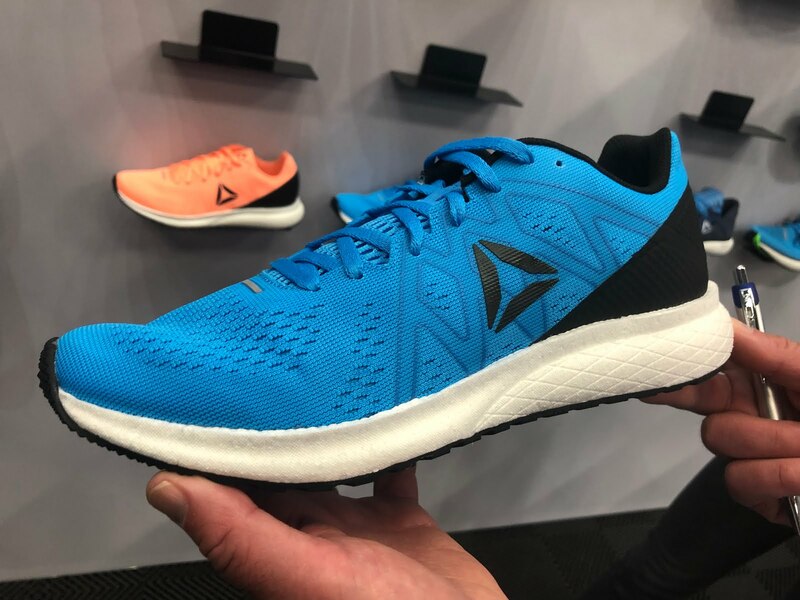 Reebok is leaving great alone with the Fast and Fast Pro unchanged but for new colors, tunes up the Run, launches a light midsole foam Floatride Energy in a new shoe the Forever Floatride Energy and uses it to update their trainers Grasse Road (now a much more stability oriented model) and Harmony Road (neutral). 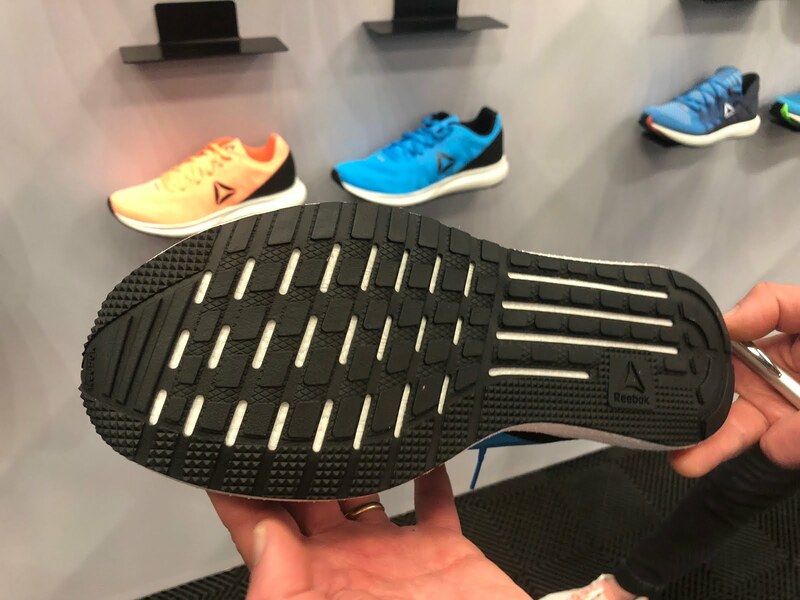 Floatride Energy is an expanded pellet TPU (think Boost) foam that it said to be more responsive and springy and lighter than traditional EVA foams. The foam here is clearly not Boost (Reebok is owned by adidas but does its own thing from everything we can tell) as the pellet grains seem much smaller and it appears lighter. It is also allows Reebok to offer "super foam" based shoes at a great price as Energy comes in at $100, Grasse Road at $120, and Harmony at $120. The new Energy joins the class of simple lower weight running shoes with few frills which promise a lively ride and versatility. 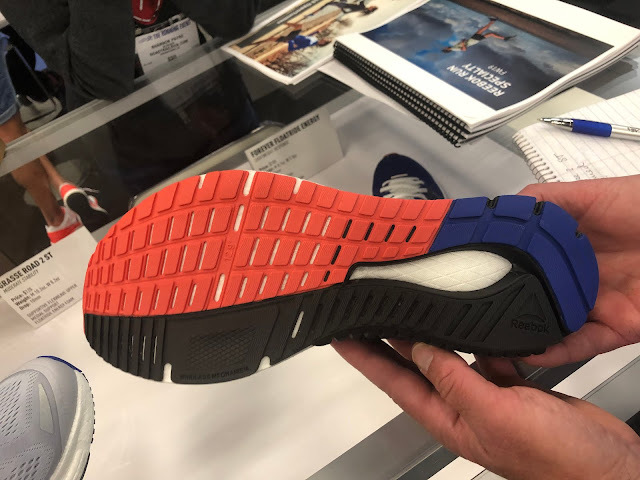 Here we also get a new contender in the "super foam" category with Floatride Energy Foam, a lower priced alternative to Reebok's own Floatride Foam, Nike React, and adidas Boost. 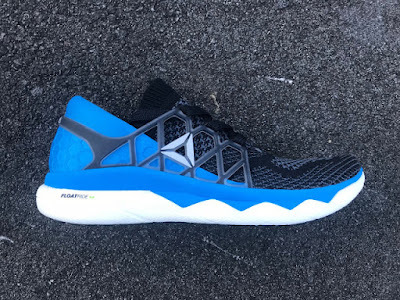 The ride is called out as a blend of cushion, response, and flexibility and we can't wait to test them to see how they compare to other contenders such as Fresh Foam Beacon, ASICS Roadhawk, Nike Epic React, Hoka Cavu, Brooks Launch, Skechers Hyper Burst foam based shoes such as the Ride 8, adidas Aerobounce and Boston Boost and others. The Floatride Energy features a simple engineered mesh upper reminding in its overlays design of the Floatride Run Fast but of somewhat more substantial material. The Harmony Road is Reebok's traditional neutral daily trainer is now updated with TPU Floatride Energy Foam replacing the more traditional EVA blend. 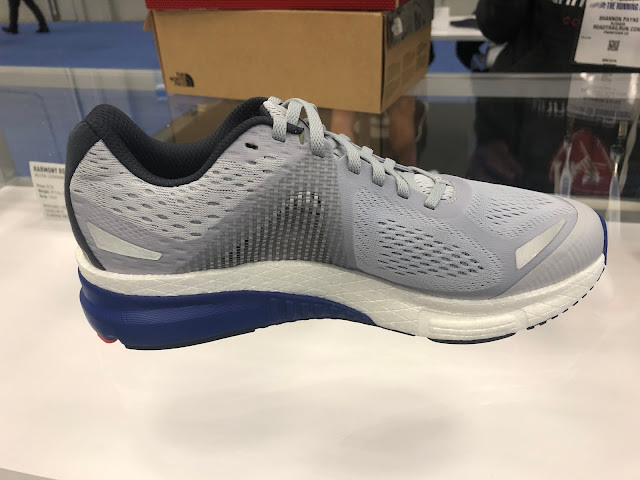 The Harmony gets Floatride Energy Foam (white layer above) to lighten the shoe and give it response, a Flexweave mid foot adaptive support and a very sharp breathable mesh upper. 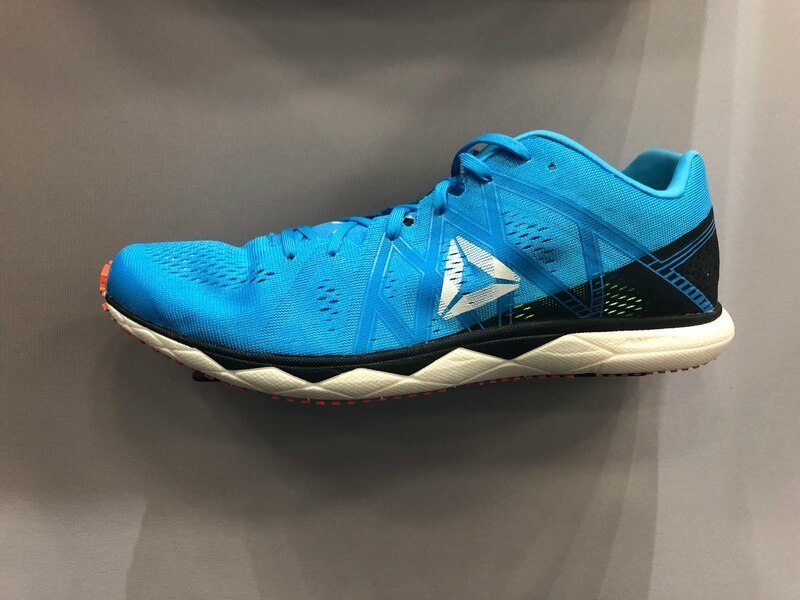 It retains its softer EVA heel clip (blue above) and is shod with a burly high abrasion carbon decoupled outsole. 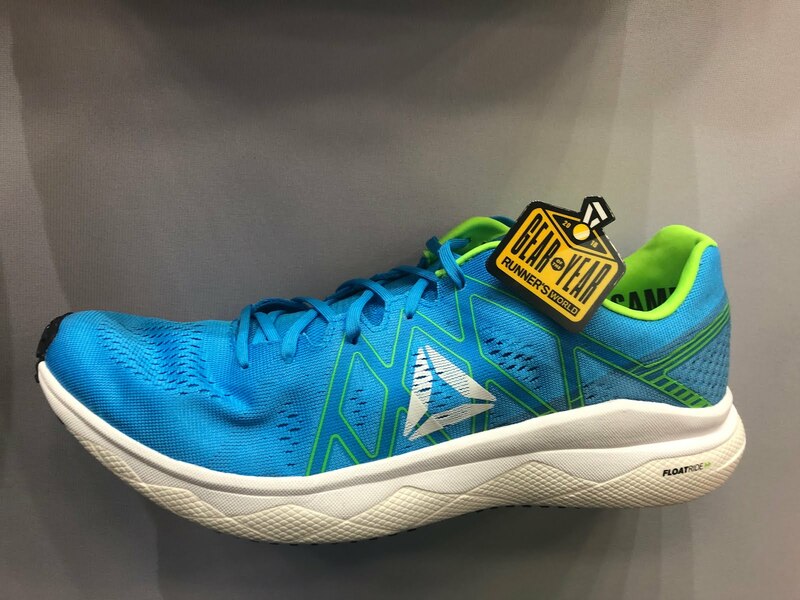 At 9.5 oz the Harmony is a lot of shoe for the weight, losing over an ounce from its predecessor. 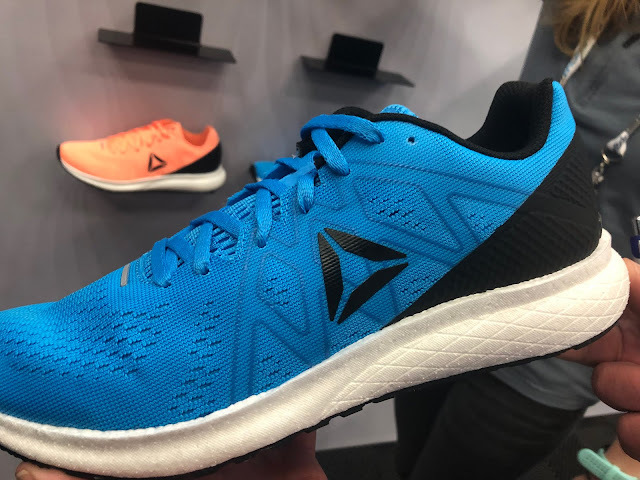 It should provide a well cushioned dynamic ride given the Energy Foam and light weight. The Grasse Road gets Floatride Energy Foam (white layer above), a Flexweave mid foot adaptive support in a burlier make up than the Harmony's, and medial posting via the dark EVA clip below. 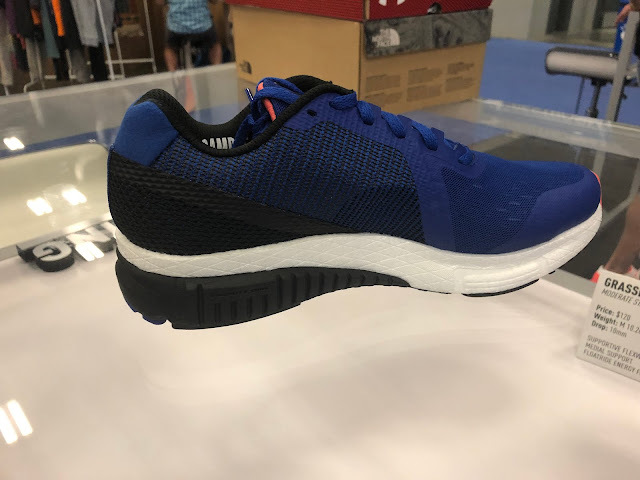 The outsole has PwrZone forefoot geometry (medial side) to promote efficiency. 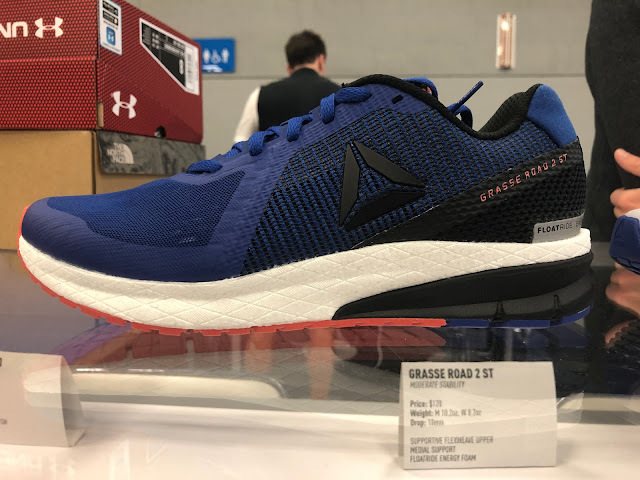 We found this approach a bit overly supportive in the prior Grasse Road (RTR review) but great in the more flexible Sweet Road 2 (RTR review) as it provided a stable platform for toe off. 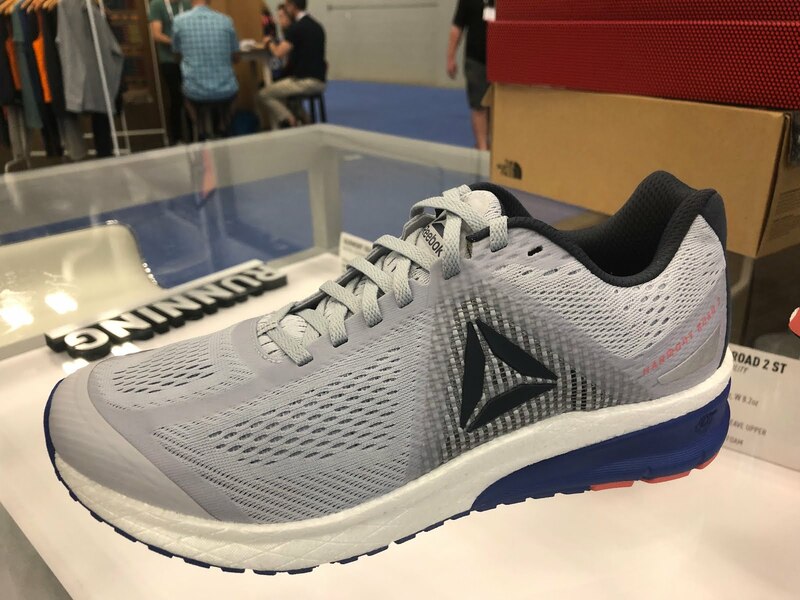 Last year's run ULTK launched Floatride Foam, a very light responsive PEBA based midsole material. We tested the ULTK (RTR review) and while it had promise there was some work to do. 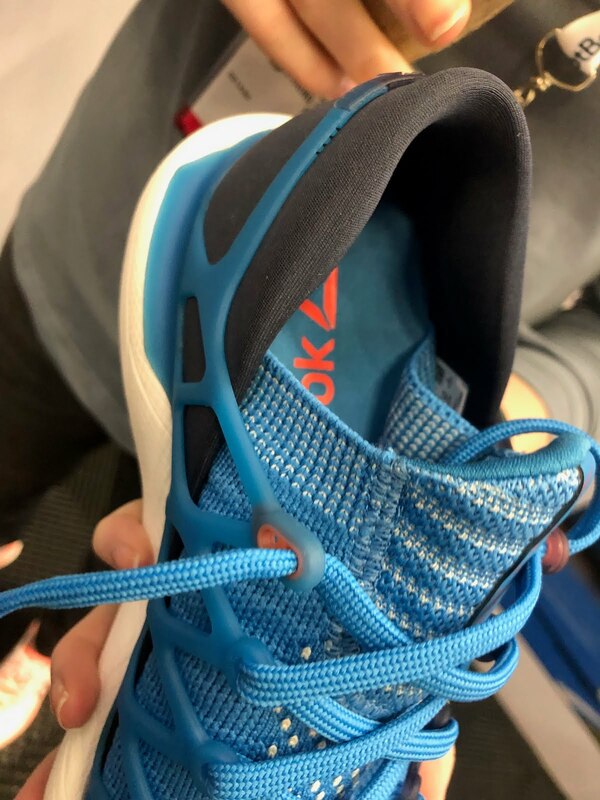 The TPU cage which secured the knit upper was quite stiff and while it caused no issues didn't really provide a very satisfying fit. For 2019 Reebok considerably softened the TPU material in the cage and added memory foam to the heel area. A fourth lace eyelet was added as was a lace lock and the cage geometry modified. 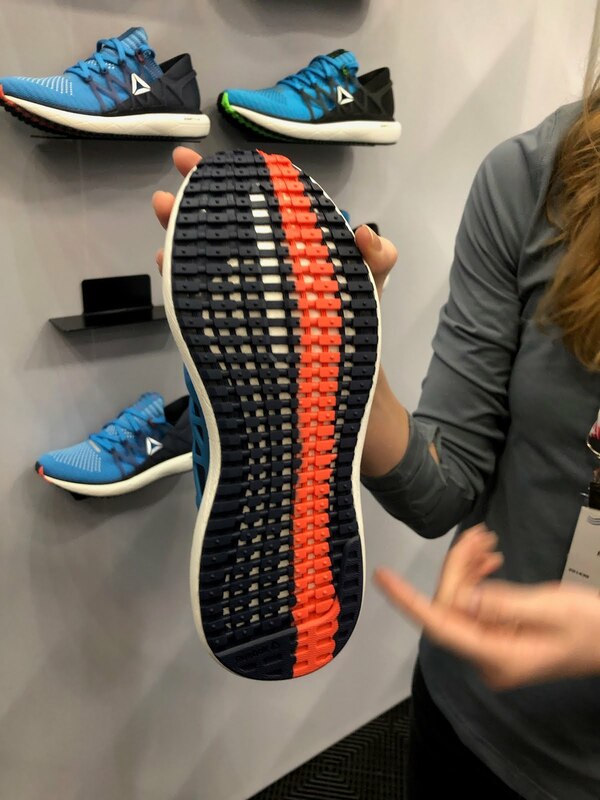 The knit upper looked softer and less thick than version 1. These changes should increase comfort and foot lockdown. Underfoot we see big changes as the EVA layer sitting above the Floatride Foam is eliminated (see 2018 Floatride Run below). We get more magic Floatride Foam cushion and the overall footprint on the ground at mid foot is widened to maintain stability as the EVA stabilizing layer is removed. 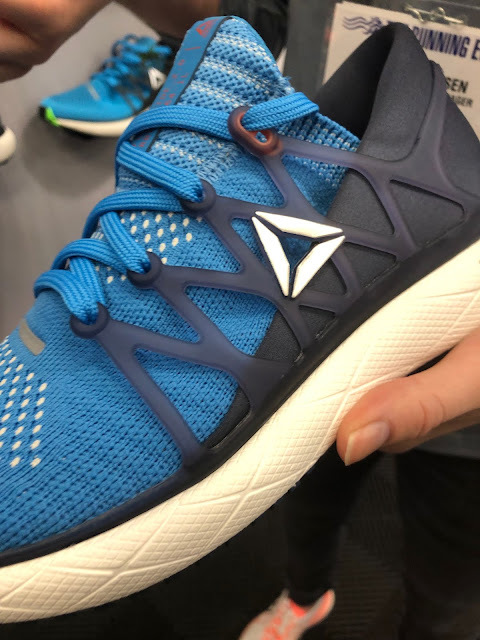 The Run also gets a modified outsole. At 8.7 oz the Run 2.0 should lose about 0.5 oz compared to the ULTK. We expect the ride to be livelier and more responsive. The Floatride Run Fast (RTR Review) gets a new color with no other changes noted. 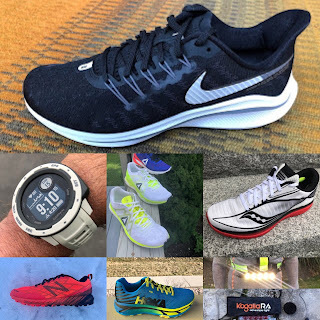 The incredible 4 oz Fast Pro (RTR review) also gets a new upper color with no other changes noted. My only problem with the Run Fast was the upper was too complicated. I loved how thin it was, but the tongue and it's fixation was way too complicated and often bunched up on me. 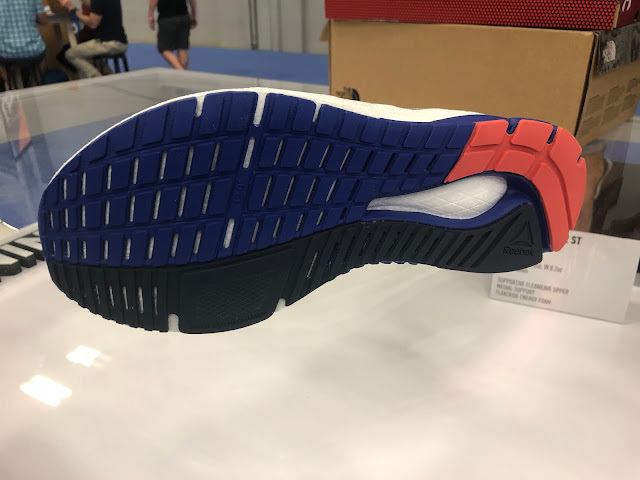 I would have loved to see them simplify the upper and leave the midsole and outsole unchanged. Absolutely! 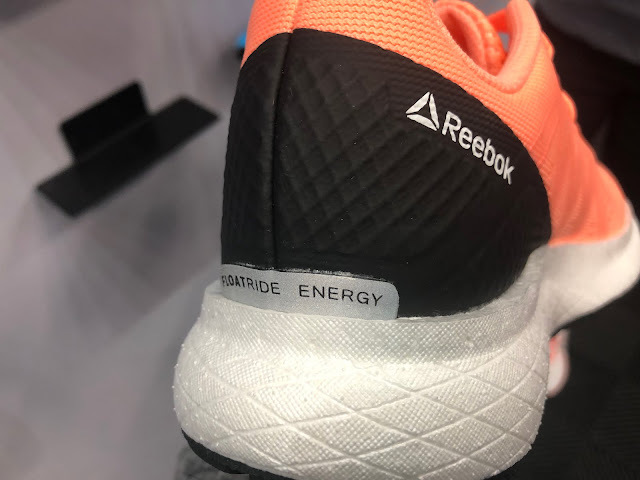 We will be testing Energy. We should have them in about a week. 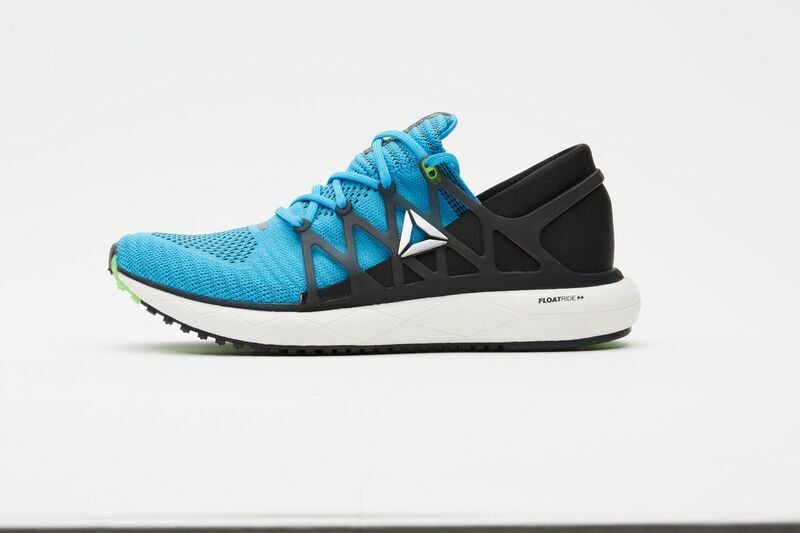 Do you have a release date for the new colour Fast Pro in the UK? Old style pretty much sold out everywhere. New style doesn't look to be out anywhere. Thanks. 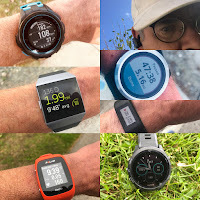 This blog is really cool, I’m so lucky that I have reached here and got this awesome information. 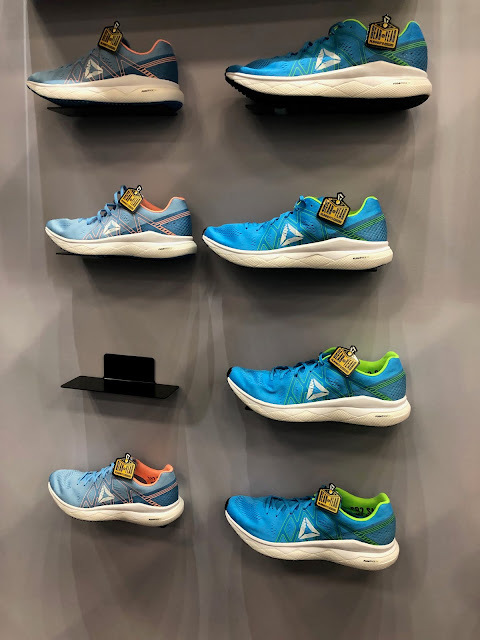 what is the best reebok shoes for outbound activities?